Are you a traveler? Whether you’re intent on hopping a plane to far-off realms or camping out in your armchair, there’s now more to explore. 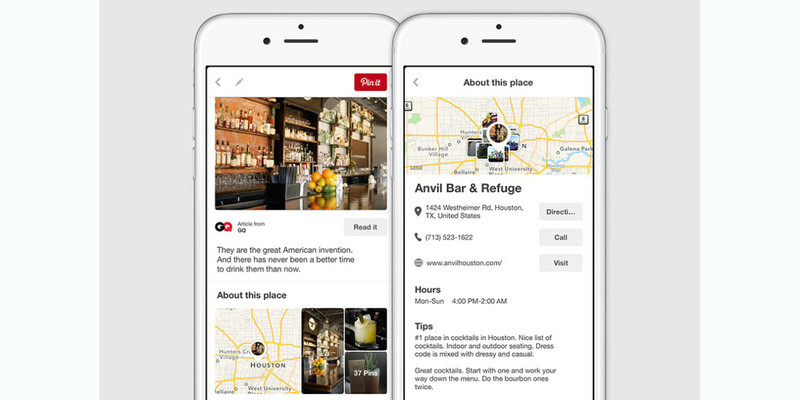 Pinterest has launched an update to its Place Pins feature, automatically adding new information and expanding location data to 7 billion pins. Now, when you save a pin, the app shows you nearby locations on a map alongside pins other people have saved from the same place. The idea is to make it easier to discover and visit the places you’ve pinned, and highlight local sights and restaurants at that destination. With a tap, pinners can get directions through Google and Apple maps, call a local merchant, visit a website and check reviews from previous visitors. Pinterest first introduced Place Pins in late 2013, and they have proven popular. The company reports tens of millions of pinners added location information to their pins. Now, billions of pins have automatically been updated with location information, with more are on the way. The updates roll out to all pinners on iOS today, with Android and Web coming in the future.